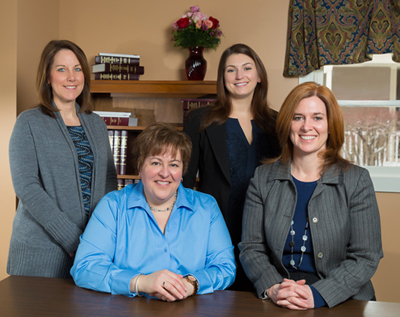 With more than 45 years of combined experience, the attorneys at Shanelaris & Schirch continue to provide uncompromising commitment to New Hampshire families. We bring unique talent to the table because we have worked on both the public and private side of the law. Our senior attorneys have served as chief staff attorneys for the State of New Hampshire’s Division of Child Support Services and have also successfully represented countless private clients. The lawyers at Shanelaris & Schirch pride themselves on providing ethical, diligent representation at a reasonable cost. We have been involved in developing state laws, setting legal precedent and representing clients at New Hampshire Supreme Court level. Our unparalleled know-how puts the best legal resources at your disposal. “Your support and encouragement meant a great deal to me. Your dedication to my case made a huge difference in so many ways. You have helped me keep my perspective.” — G.M.